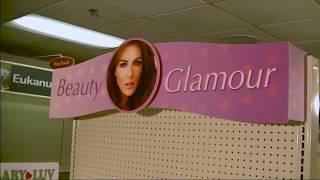 Overhead sign systems are ideal but some styles have visually unappealing mounting methods so while the front of the sign is great, the back view from another aisle is an eyesore. Our clear sign mounting brackets are ideal for virtually every type of overhead sign. Clear mounting fasteners are available to keep the aesthetic flawless. Made of clear PETG, these brackets can be produced in many different sizes to dress-up your POG. If 'clean aesthetics' is your challenge, these GhostBrackets are your solution. These brackets are made of sturdy PETG and easy support 36" and 48" foamcore signs. Choose your ideal dimensions and let our team do the rest.